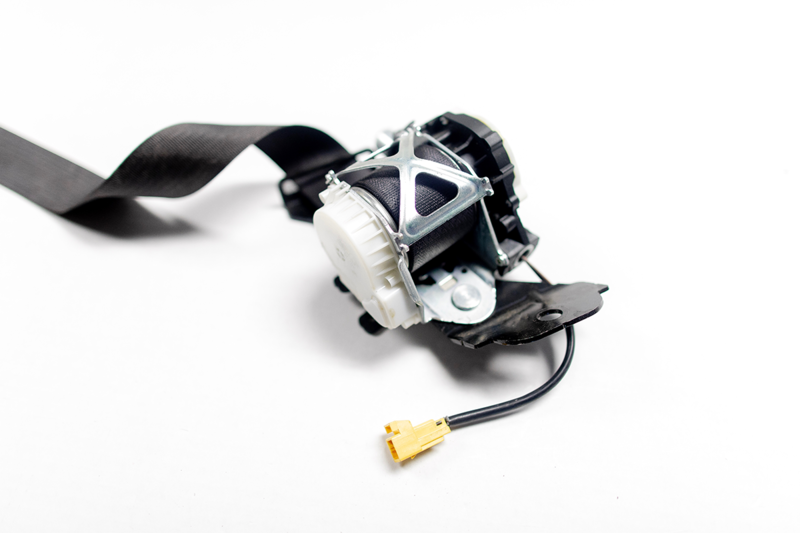 Seat belt retractors and pretensioners help optimize the performance of airbags found in all makes and models from 1996 and up. Having safety as top priority, it is important to always wear your seat belt. This reduces the amount of work the airbags must perform in the unlikely event of a car accident or crash. The seat belt equipped with a gas charge deploys, locking the seat belt and pulling the occupant back against the seat thus reducing the impact with the airbag due to the rapid inflation. If your vehicle has been in an accident and your seat belts are now locked, we can help! We provide professional repair services for all of your seat belt needs. We rebuild seat belt tensioners that are locked/blown after accident. If your seat belt is no longer retracting like it should, we can help! Old seat belts wear out with time, the spring weakens and the sweat build up on material fabric makes the seat belt retract slowly. A new seat belt replacement just costs too much and is not something people want to spend their money. We offer a complete seat belt retractor repair where all you have to do is remove your existing seat belt retractor and mail it in. If a slow retractor is bothering you, order our SEAT BELT RETRACTOR REPAIR. 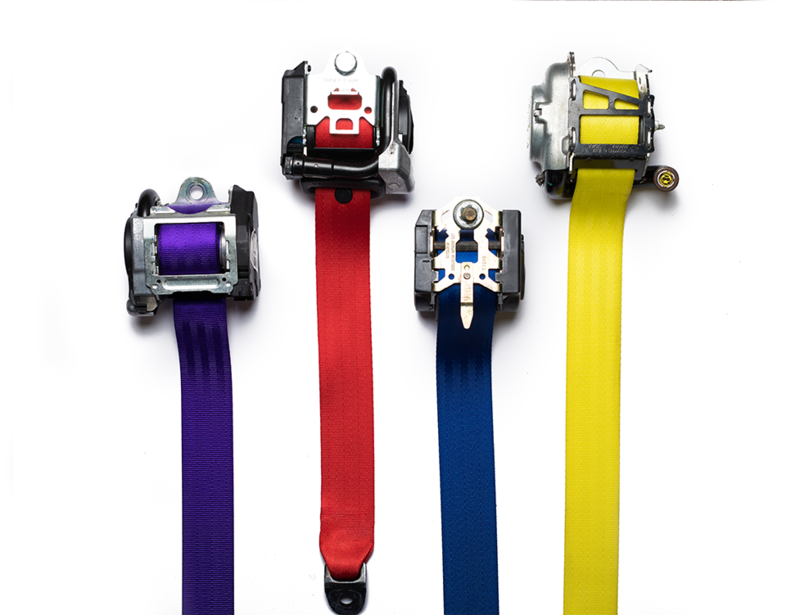 We also replace the webbing on ripped, torn, cut and dog chewed seat belts. 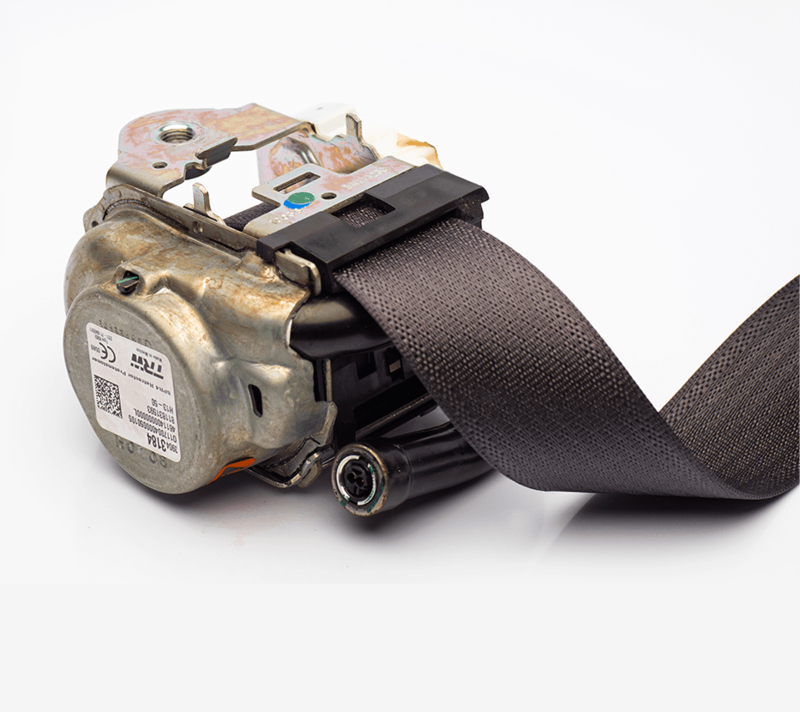 Our seat belt repair service restores your seat belts to factory condition. 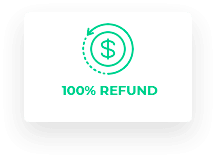 We only use 100% OEM parts and provide Lifetime Warranty on all of our repairs. If you are looking for a seat belt replacement, we can repair it instead for a fraction of the price of buying new. 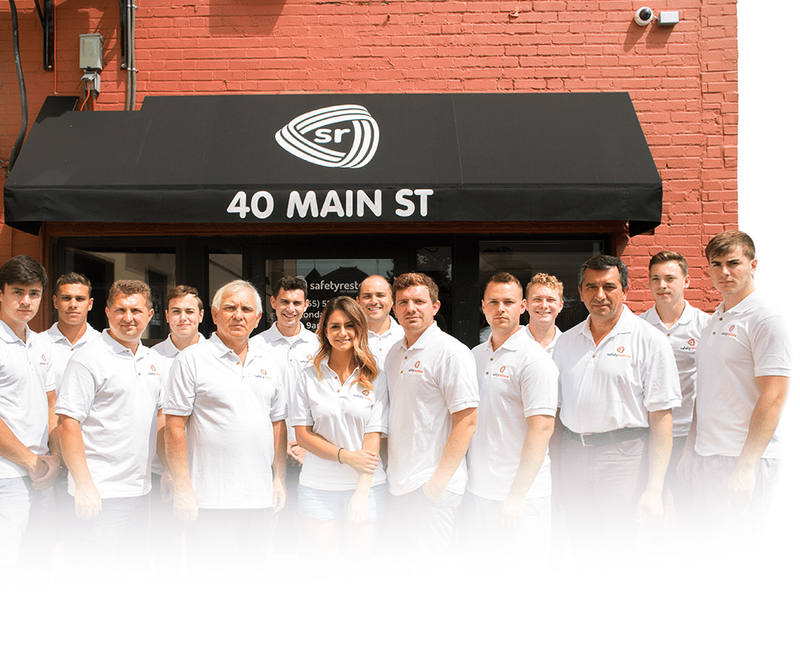 Our service is compatible with Acura, Audi, BMW, Buick, Cadillac, Chevrolet, Chrysler, Dodge, Ferrari, Ford GM, GMC, Honda, Hummer, Hyundai, Infiniti, Isuzu, Jaguar, Jeep, KIA, Lamborghini, Land Rover, Lexus, Lincoln, Lotus, Mazda, Mercedes-Benz, Mitsubishi, Nissan, Oldsmobile, Pontiac, Porsche, Saturn, Subaru, Suzuki, Toyota and VW Volkswagen. 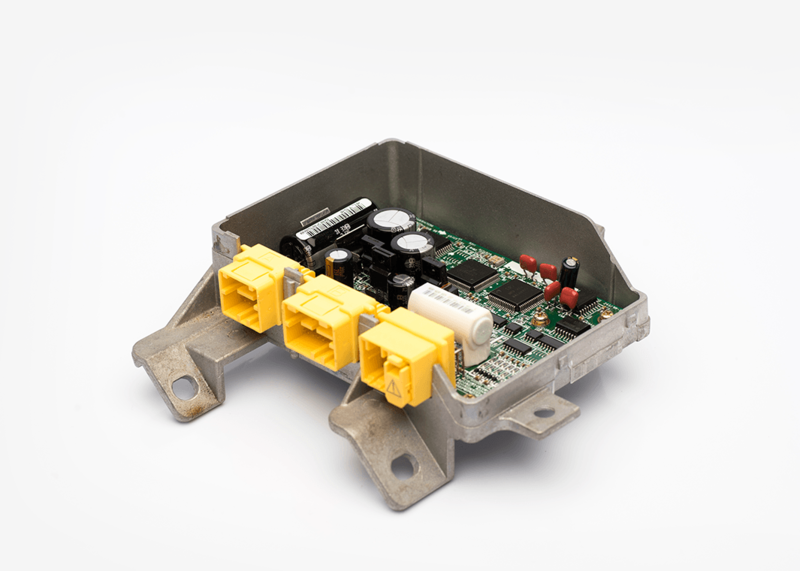 We work on single-stage, dual-stage and triple-stage seat belt pretensioners and have all parts in stock. 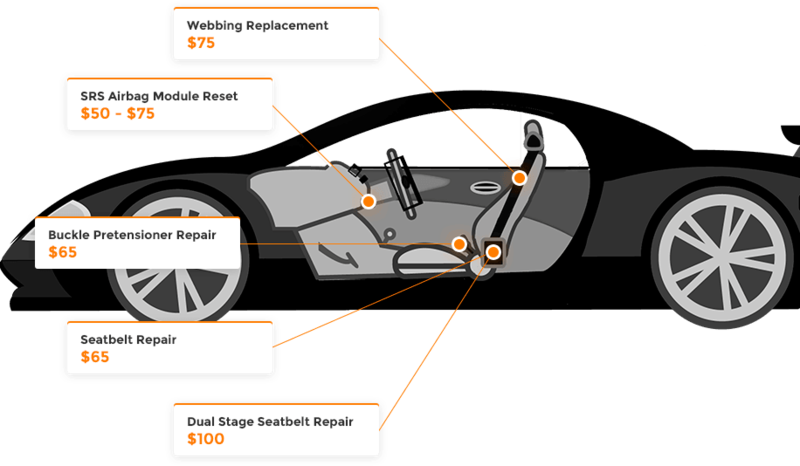 All repairs are done in the United States and your seat belt is always repaired within 24 hours. Order today and save! Seat Belt Repair Service There are no products in this category. Seatbelt harness repair - shoulder belts.